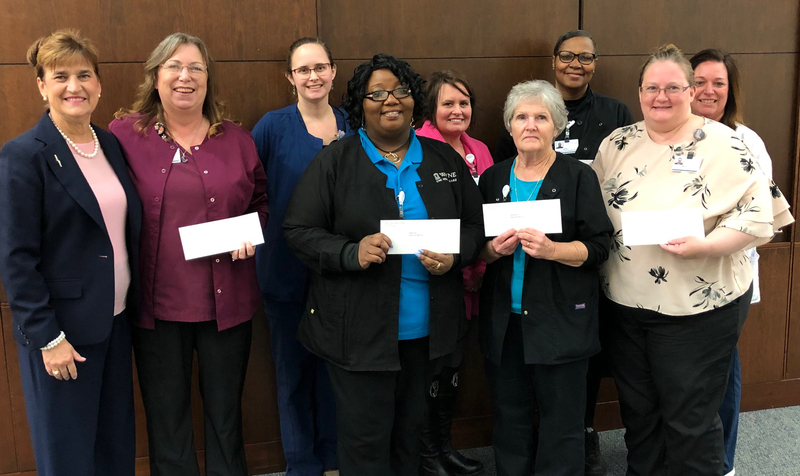 The North Carolina Hospital Foundation (NCHF) Disaster Relief Fund has been distributing checks to support the North Carolina healthcare workers who suffered significant property loss to their homes during Hurricane Florence and the subsequent flooding. More than 160 organizations and individuals in North Carolina and across the nation generously contributed more than $281,000 to the Disaster Relief Fund. The money raised will be distributed to 544 hospital employees in impacted areas. 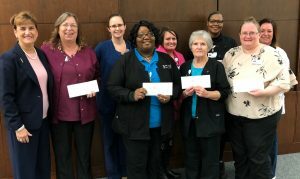 Staff at NCHA and the Foundation were honored to recently hand-deliver checks to 13 employees at Columbus Regional Healthcare System in Whitevile, three employees at Novant Health Brunswick Medical Center in Bolivia, 45 employees at Southeastern Health in Lumberton and 10 employees at Wayne UNC Health Care in Goldsboro. Money raised through the NCHF Disaster Relief Fund were distributed to eligible employees at Columbus Regional Healthcare System. 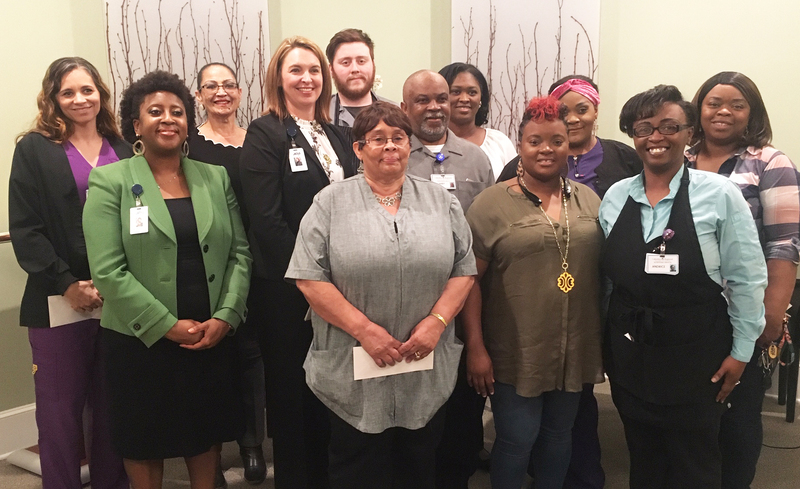 Pictured with some of the recipients are Marjah Haygood, NCHA Hospital Data Program Manager, (second from left) and Jody Fleming, NCHA Strategic Partners Senior Vice President (fourth from left). Money raised through the NCHF Disaster Relief Fund were distributed to eligible employees at Novant Health Brunswick Medical Center. 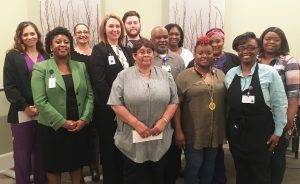 Pictured with some of the recipients are Marjah Haygood, NCHA Hospital Data Program Manager and Jody Fleming, NCHA Strategic Partners Senior Vice President. Money raised through the NCHF Disaster Relief Fund were distributed to eligible employees at Southeastern Health. 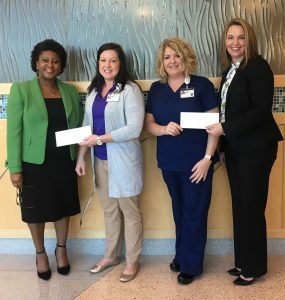 Pictured with some of the recipients are Joann Anderson, President and CEO of Southeastern Health (center), alone with Marjah Haygood, NCHA Hospital Data Program Manager and Jody Fleming, NCHA Strategic Partners Senior Vice President. Money raised through the NCHF Disaster Relief Fund were distributed to eligible employees at Wayne UNC Health Care. Pictured with some of the recipients is NCHA Senior Vice President Millie Harding (left).